“Elise” is not your typical love story, but it touches the heart. 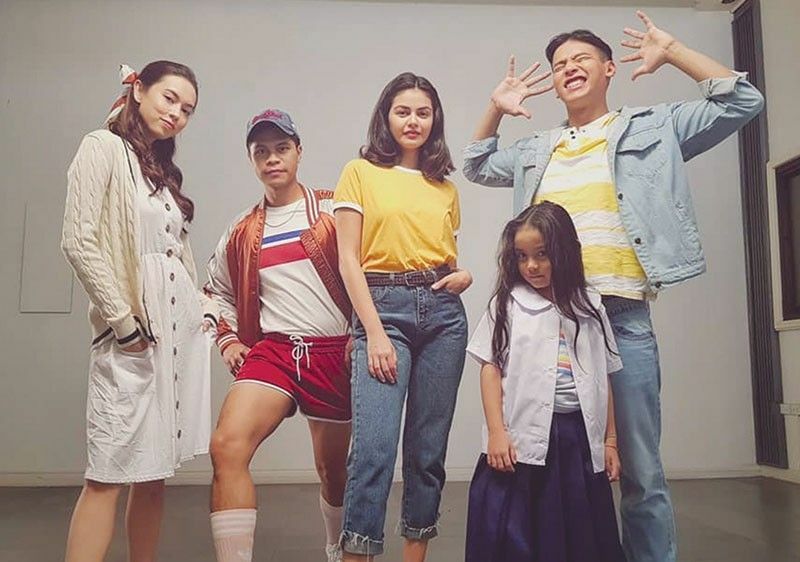 Viewers can relate to the characters played by Enchong Dee and Janine Gutierrez in this Joel Ferrer film that was based on the director’s own love story. Direk Joel decided to make a light drama even if the story of Elise is kind of heartbreaking. It is also a story of triumph against the odds. “I wanted to make it a little melodramatic although this is the film that I am most attached to. Marami rin akong bagay na pinalagpas before. I tend to gravitate to a certain person tapos pag nakita ko siya uli, sa kanya na naman ako,” the young filmmaker related. The Cinema Evaluation Board gave Elise an A rating. CEB took note of the good narration and the unique love story. The film is an ode to those who love and want to move on with their lives. This pre-Valentine offering of Regal Entertainment is now showing in cinemas nationwide. “Elise” also stars Miko Raval, Miel Espinosa, Krystal Brimner, Jackie Lou Blanco, Pilita Corrales, Erin Ocampo, Archie Adamos, Alan Paule, Andrea Del Rosario, Victor Anastacio and Laura Lehman. Held only every two years, the country’s biggest and most exciting “Bakery Fair” will be a fitting post-Valentine event at the World Trade Center in Pasay City from Feb. 15-17, with one of its many highlights being the Cakes Competition boasting of 63 talented bakers as participants. Social media hashtag is #BakeryFair2019. Bakery Fair 2019 will be ushered in by the ceremonial cutting of a giant seven-foot high special cake celebrating the theme this year, “Chinese New Year in the Year of the Pig.” The organizer of the event is the Filipino Chinese Bakery Association, Inc. (FCBAI) which believes that this theme is a fitting celebration of good luck and good life as the Chinese New Year officially began yesterday. The cake was created meticulously by award-winning cake designer James Anton Uy of Cubcakes Bakery. Uy is a respected baking and cake decorating instructor and the 2013 Winner of the Bakery Fair Cake Display competition where he bested even some of the more established names in the local baking industry. He is a contributor for the internationally known Satin Ice (Satinice.com) for Cake Design Inspirations; as well as in various local magazines like Wedding Essentials, Wedding Digest and Real Brides Magazine. The three-day Bakery Fair is a brainchild of FCBAI and features exhibitors, seminars and demonstrations by local and international experts. All kinds of modern baking supplies and equipment will be showcased and the public is invited to participate.